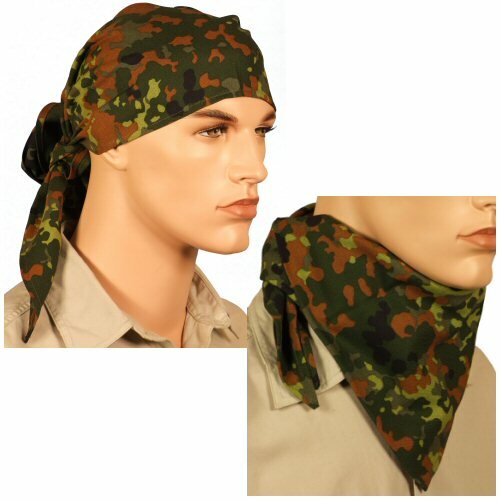 German Army neck scarf in flecktarn, perfect for adding to camouflage, wearing as neckscarf or headwrap. Made of machine washable 100% cotton, and in extra large 100cm2 (approximate) size. Flecktarn on one side, green on reverse.